We’re not ashamed to say that we love donuts. Not only are they delicious, but they’re also so adorable and perfectly Instagram-worthy. Unfortunately, though, store-bought varieties are often full of harmful fats and synthetic chemicals. If we’re going to indulge in a tasty treat, we’d like to know exactly what we’re putting into our bodies. 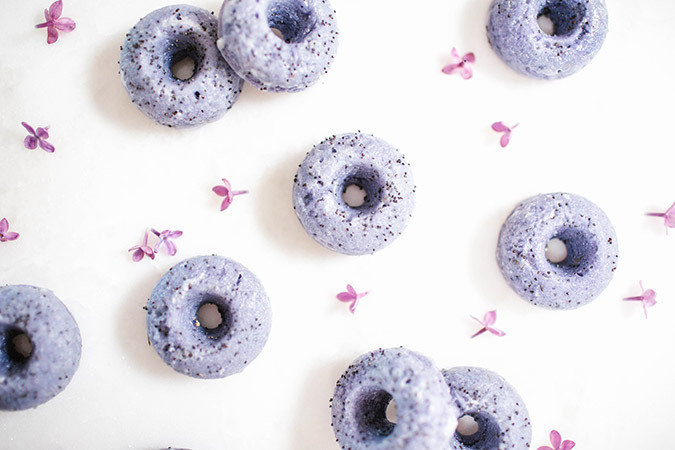 Thankfully, we can always count on LC.com’s friend and resident baker, Lauren Lowstan, who has created a delicious recipe for baked Lavender Poppyseed Donuts. Scroll down to find out how to make them yourself—then don’t forget to show us the result by sharing and tagging #lcdotcomloves on Instagram! 1. 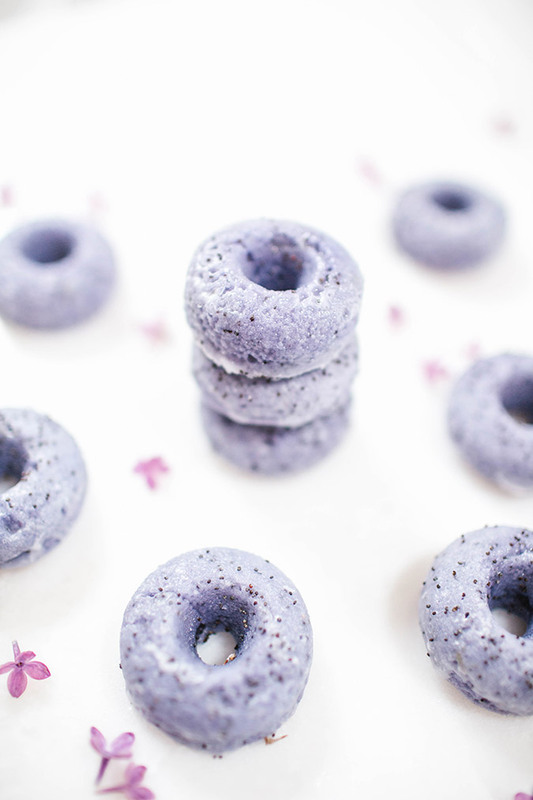 Whisk flour, baking powder, salt, lavender and poppy seeds in a medium bowl. In a separate large bowl, whisk sugar, buttermilk, eggs, vanilla and food coloring. Add your dry ingredients into your wet, and whisk just until combined. Try not to over mix or else your batter will be tough. 2. Butter or spray your donut pan and preheat oven to 350 degrees. Add some donut batter into a large piping bag and fill each donut cavity until ¾ of the way full. If you don’t have piping bags, don’t worry—use a spoon instead. Piping bags just give you a more even distribution. Bake the donuts for about 5-7 minutes, or until a toothpick comes out clean when inserted. 3. Let the donuts cool in the pan for about a minute, then flip onto your work surface and let cool. Repeat until all your batter is baked. 4. Whisk powdered sugar, milk and vanilla in a small bowl until no lumps remain. Make sure to keep your glaze covered with plastic wrap when not using, because it will form a crust very quickly. This glaze will be thin. 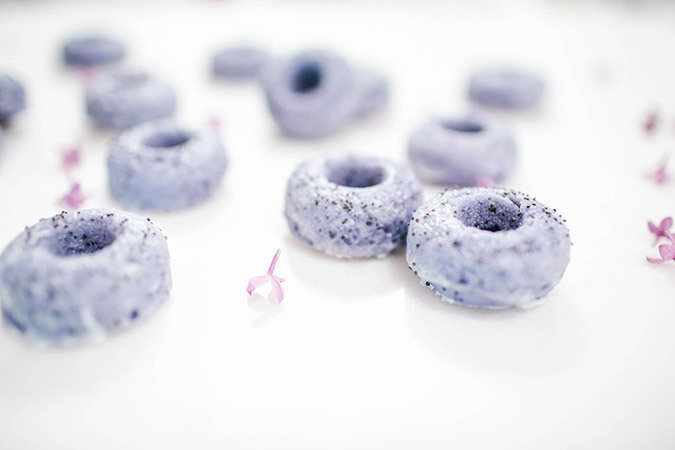 You want it to be translucent so you can see the purple come through on the donuts. 5. Dip each cooled donut into the glaze and let excess glaze drip off for a few seconds. Set onto a parchment-lined baking sheet and sprinkle with some poppy seeds. Set until hardened. Will you be trying out this delicious treat at home?